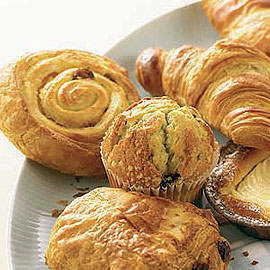 Take a shopping break with freshly-brewed coffee and straight-out-of-the-oven bread and pastries from the British fashion and food retailer. 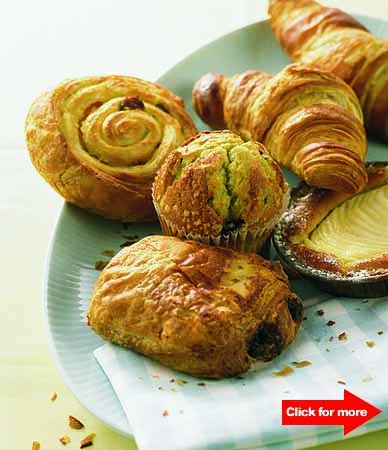 Pair croissants, tarts, and turnovers with freshly-brewed coffee at the new Marks & Spencer Bakery. Click for more. British fashion and food retailer Marks & Spencer opened its first bakery in the Philippines located inside its Eastwood Mall outpost. Pop in for hot-off-the-oven bread, pastries and freshly-brewed coffee in the middle of your shopping trip: the bakery’s stark, all-white interiors offers respite from retail therapy and lets you indulge in familiar favorites: apple turnovers, cherry and pear tarts, milk chocolate cookies, shortbread, granola squares, croissants, and more. Those who need a caffeine jolt can choose from the espresso, decaf and Columbian coffee available (8-ounce cups start at P50).